"I suspect their bond will last a lifetime." 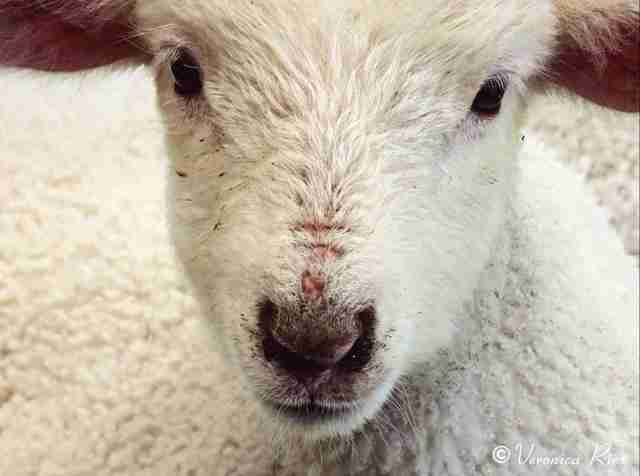 Gary was left behind at a livestock auction. His mother had likely given birth in the holding pens, or maybe on the truck that took her there. Whatever the case, instead of being able to nurse and care for her baby, Gary's mom was sold and trucked off to slaughter, leaving her little baby all alone. Gary was only a few hours old. Things took a turn for the better when a farmer who was attending the livestock auction noticed Gary and decided to take him home. 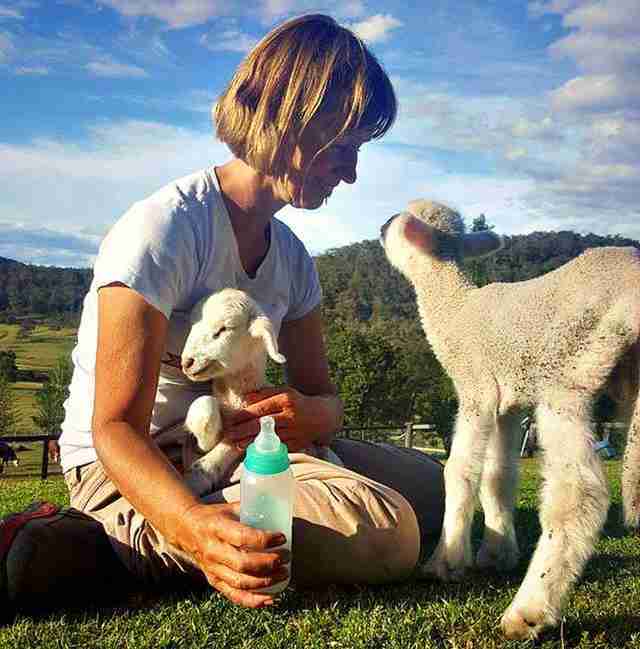 Then the farmer contacted Deborah Pearce, the founder of Where Pigs Fly, an animal sanctuary in New South Wales, Australia, and arranged for Pearce to adopt the lamb. 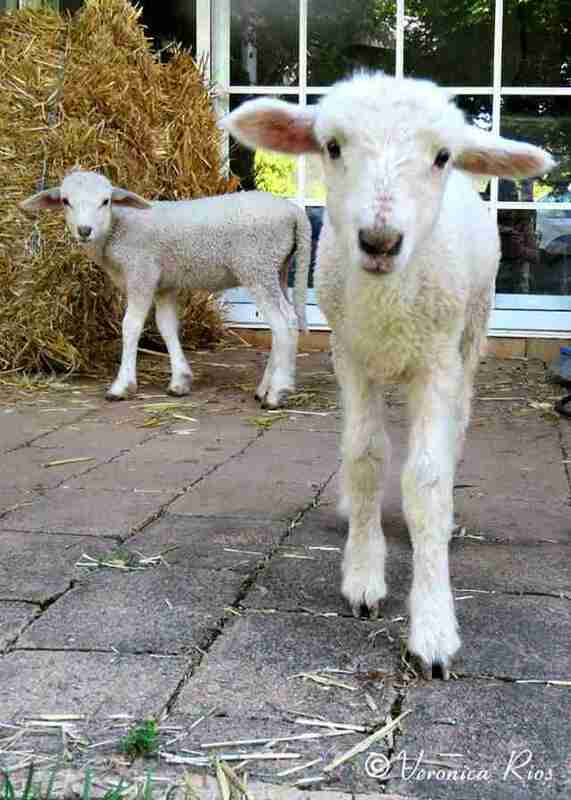 The farm was a four-hour drive away from the animal sanctuary, and while the farmer waited for Gary to be picked up, another lamb named Penny was born at the farm. Penny needed help too - her mother had rejected her. When the farmer asked Pearce if she'd take Penny as well, Pearce, of course, said, "Yes." 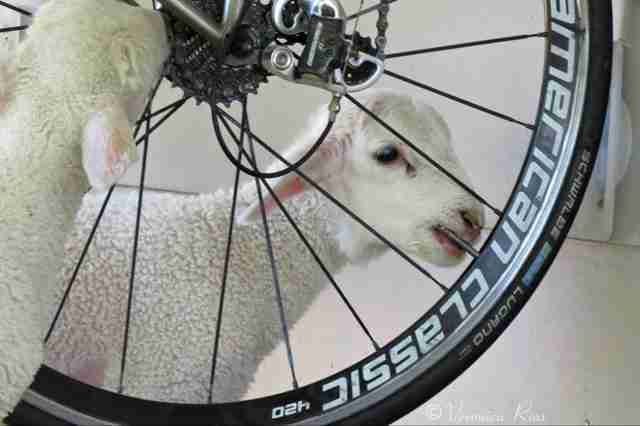 "Baby lambs do better when they have company," Pearce told The Dodo. "So we gave both Gary and Penny a home at Where Pigs Fly." 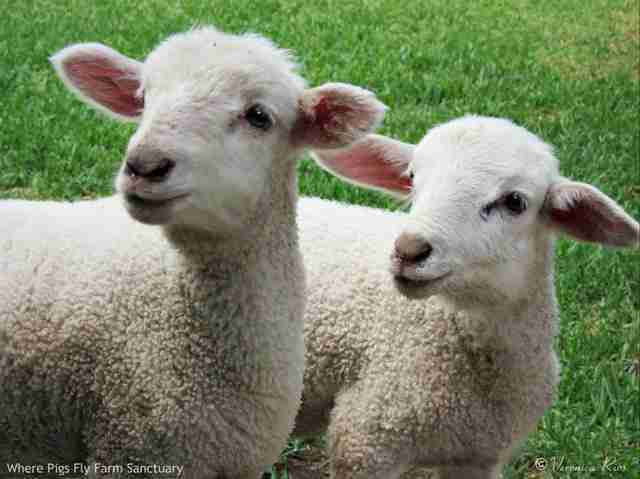 Three sanctuary volunteers made the long trip to pick up Gary and Penny. 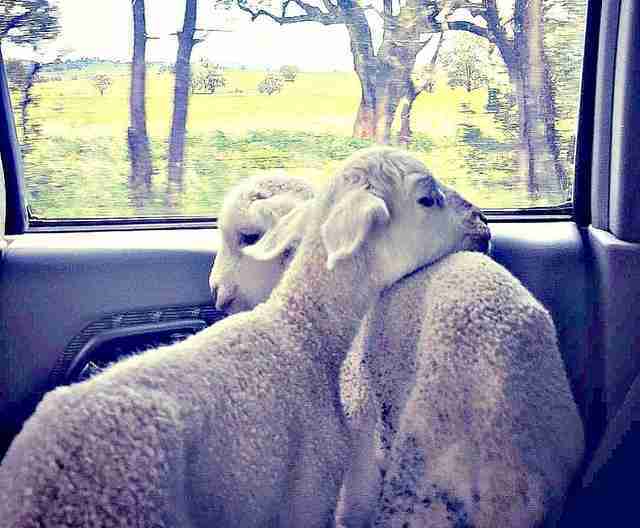 Both lambs were skittish and scared, and they snuggled up together in the car. "They were just babies and had their lives turned upside down," Pearce said. "Strange people, strange places. No mothers. I cannot imagine what was going through their minds." 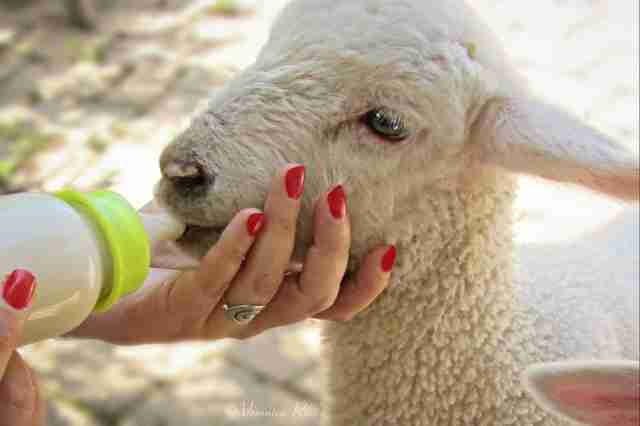 Besides the fact that the lambs were traumatized, Pearce knew they hadn't gotten their mother's colostrum milk, which would have been essential in boosting their immune systems. 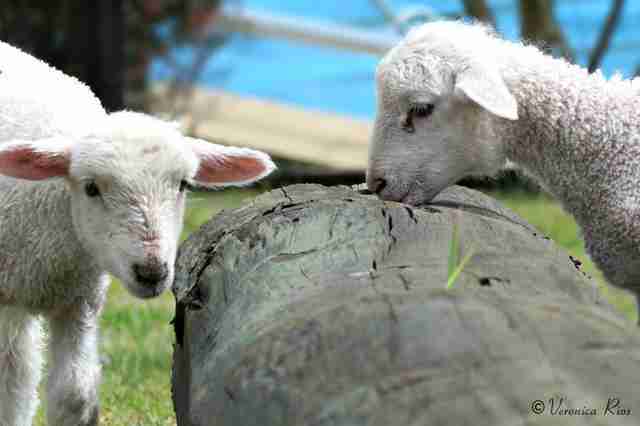 Without colostrum, it was questionable whether they'd survive. 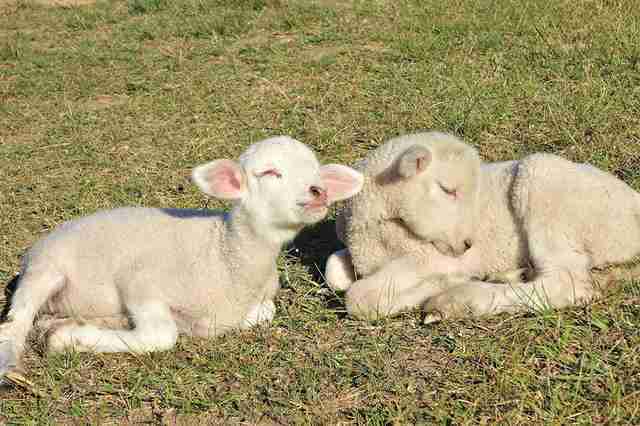 "It's always touch and go when lambs are born and don't have the immune-building colostrum," Pearce explained. Pearce and the sanctuary volunteers did their best to care for Gary and Penny - but the best medicine has been each other's company. "They were instant friends, and they took comfort from each other and developed a very strong bond," Pearce said. "I suspect their bond will last a lifetime. If they can't see one another, they call out until they are back together again." "They help each other out at feed time," she added. "If one sees the feed bottles, they call out to the other one that food has arrived. They come running together." Penny and Gary now do everything together - they feed together, play together and sleep together. "One is never far from the other, day or night," Pearce said. 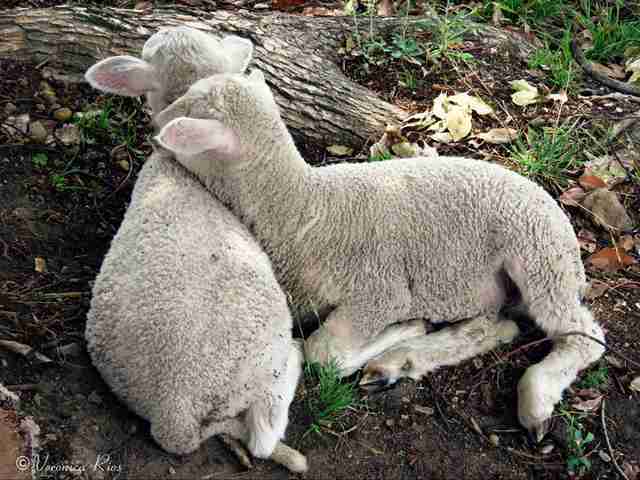 "I love the way they curl up to sleep. They also take great delight in chasing the rescue hens around the sanctuary." Penny and Gary are now about a month and a half old. The older they get, the better chance they have of surviving. 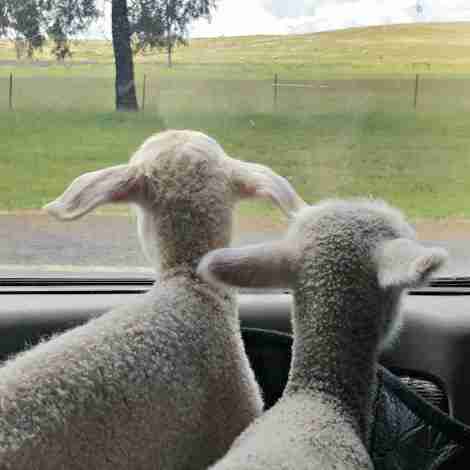 "The lambs have quickly developed a newfound confidence and energy, bounding from one end of the paddock to the other," Pearce said. "Jumping up on rocks and sprinting along with their human carers. They are individuals who want to live, just like we do." 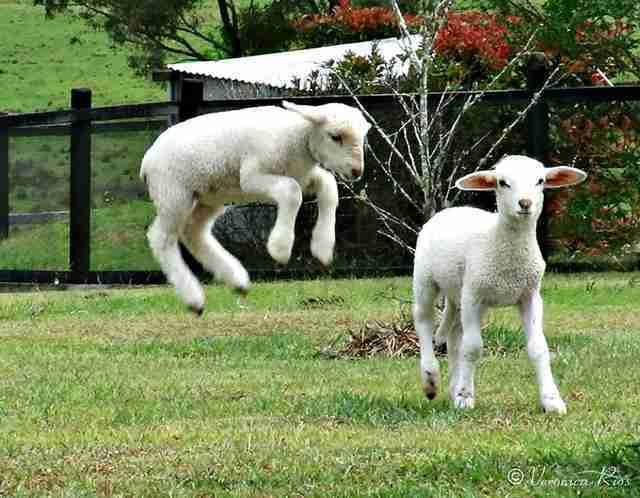 To help lambs like Gary and Penny, you can support Where Pigs Fly by making a donation here.